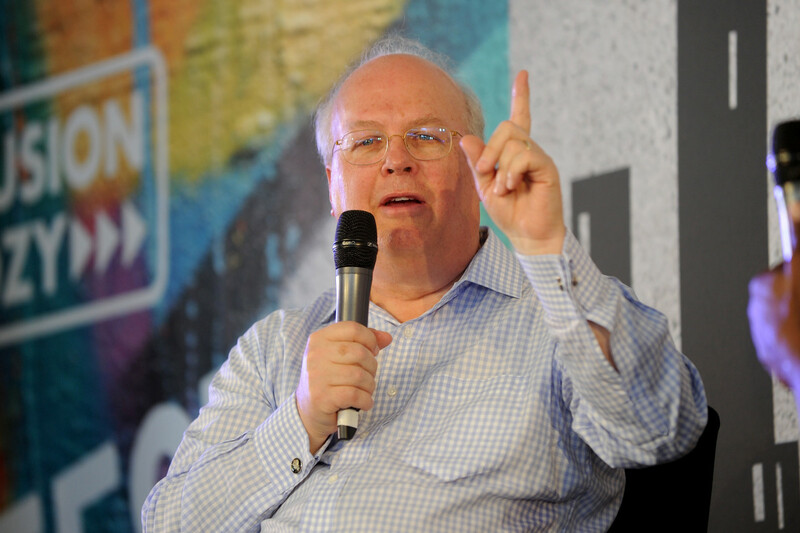 Karl Rove is a political strategist and former top adviser to President George W. Bush. After Bush left office, Rove became a commentator for several news organizations including Fox News and The Wall Street Journal. In 2010, Rove helped launch American Crossroads, a super PAC, and Crossroads Grassroots Policy Strategies (known as Crossroads GPS), a politically active nonprofit. Both organizations have raised and spent millions to support conservative candidates. In November 2015, after a five year-battle with the IRS over whether the group’s purpose was solely political, the agency granted Crossroads GPS tax-exempt status as a 501(c)(4) social welfare organization. Rove also has ties to another dark money organization, One Nation. The president of One Nation is also the president of American Crossroads. From 2010 to 2014, Crossroads GPS was one of the three top spending dark money groups. In the 2012 election cycle, the group spent over $71 million, more than any other non-disclosing organization. Crossroads GPS was not active in the 2016 election cycle, but One Nation spent about $40 million, according to the Center for Responsive Politics.